Enlarge / Google’s event invite. Thirty-three days. That’s how long we have to see Google confirm all the Pixel 3 rumors that have been floating around. Today, Google sent out invites to a “Made by Google Launch Event,” which will invariably include the company’s Pixel 3 smartphone flagship. The event will be held on October 9 at 11am ET in New York City. It doesn’t seem like there’s any special information to be gleaned from the invite. 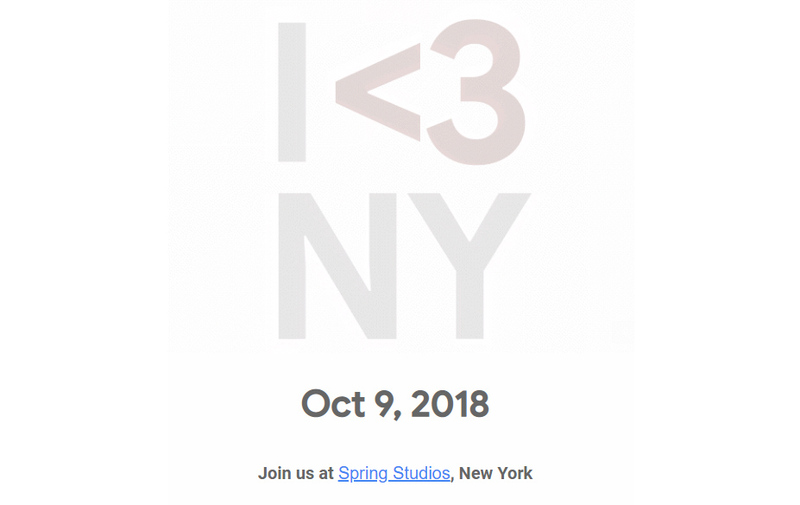 It’s just a GIF that draws out “I <3 NY.” I guess you could say the “3” is a reference to the Pixel? While the headline device will probably be the Pixel 3, last year’s Made by Google event didn’t just see a smartphone launch. Google also announced the Chrome OS-powered Google Pixelbook, the Google Home Mini and Max, a new Daydream View VR headset, the Google Pixel Buds, and an AI-powered camera called “Google Clips” (remember that thing?). The Pixel 1 launch introduced a bevy of Google products, too. So if history is any indication, we’ll see more than just the Pixel 3 launch. A few potential devices would include a Pixelbook 2, and as luck would have it, there’s a ChromeOS device out there codenamed “Nocturne” that might fit the bill. Earlier this year, Google launched software for a Google Assistant Smart Display, and while Lenovo and other hardware partners have launched devices, we haven’t seen hardware from Google. I’m already signed up for the event, so whatever Google announces, Ars will have lots of hands-on coverage. We’ll see you on the 9th.